The UK has been ranked the worst EU country for new homeowners and first-time buyers (FTBs), according to new research from Composite Door Experts. The company analysed specific countries in the EU based on three key factors: homeownership rates, mortgage interest rates and the size of new dwellings. It then analysed its findings to determine which locations offer the best and worst alternatives for buyers looking to take their first step on the property ladder. With a homeownership rate of just 63.5%, the UK was the 4th lowest of all EU countries. It also placed last overall for the size of new homes built costing an average of €200,000 (£179,000). The price equates to a property 39 square metres in size. 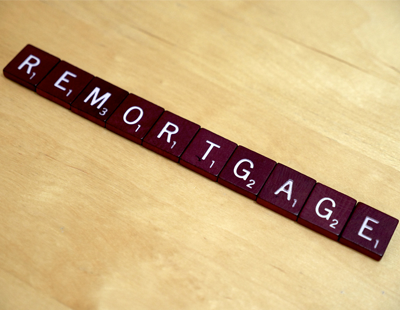 The UK also came 6th for average mortgage interest rates (2.16%). Properties in the UK were reportedly much smaller than properties in France – the next lowest ranking country – with dwellings of 50 square metres. Hungary, however, ranked first in this department, and was miles away with properties averaging 196 square metres, five times larger than those in the UK. Portugal was the most desirable location for potential homeowners in the EU, ranking fairly well in all three considered factors: with a homeownership rate of 74.8% (7th), an average property size of 194 square metres (2nd) and mortgage interest rates of just 1.77% (6th). Compared to the UK, Ireland ranked low for offering few opportunities to FTBs. Homeownership was at 70%, making it the 7th worst of EU countries, living space proves to be cramped with properties averaging 60 square metres (3rd) and mortgage interest rates were at 3.22% (4th). Zak Harris of Composite Door Experts suggests that more could be done to ‘foster’ a more enticing environment for first-time buyers in the UK. “The UK ranked poorly for the three key areas considered against other countries across Europe and if not addressed the issue is likely to only get worse,” he commented.